Get notified when Kelly Clarkson tickets are available! 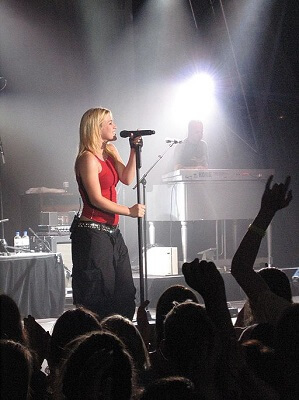 Kelly Clarkson is an American actress, songwriter, singer and author. She found fame after winning the first season of “American Idol” in the year 2002 and is still called the “original American Idol.” Kelly Clarkson signed with RCA Records and put out her debut song, “A Moment Like This,” which became the best-selling single of 2002. It also hit the top of the US Billboard Hot 100 chart. “Thankful,” her debut album, also hit the top of the Billboard 200 and went double platinum as certified by the RIAA. “Miss Independent,” its main single, was a Top 10 song in numerous countries. Get your Kelly Clarkson tickets below now.